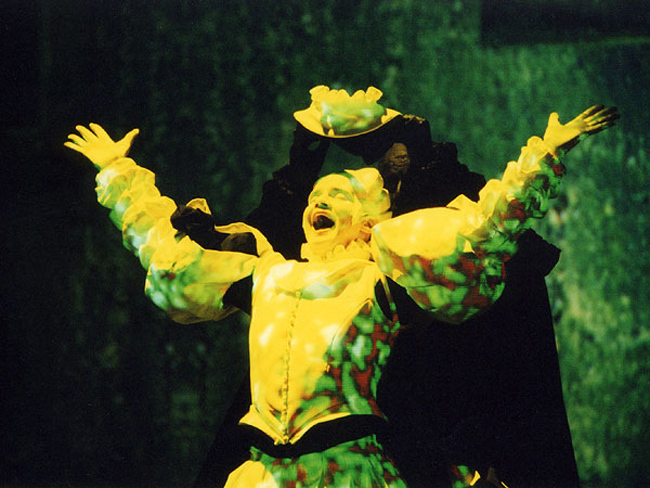 The Jew of Malta is an opera by André Werner, based on a libretto by Christopher Marlowe. 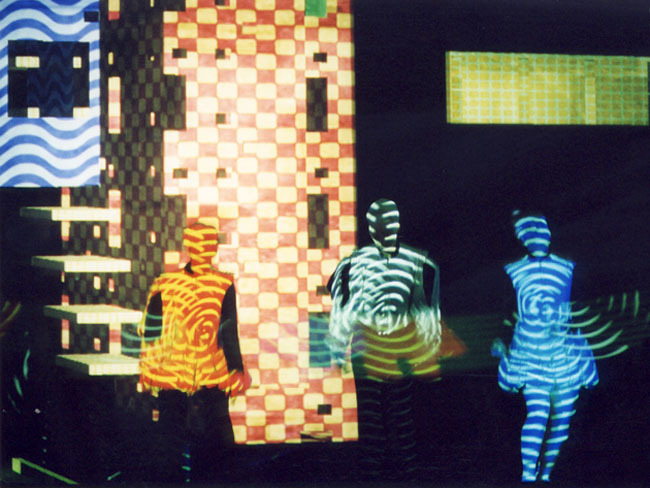 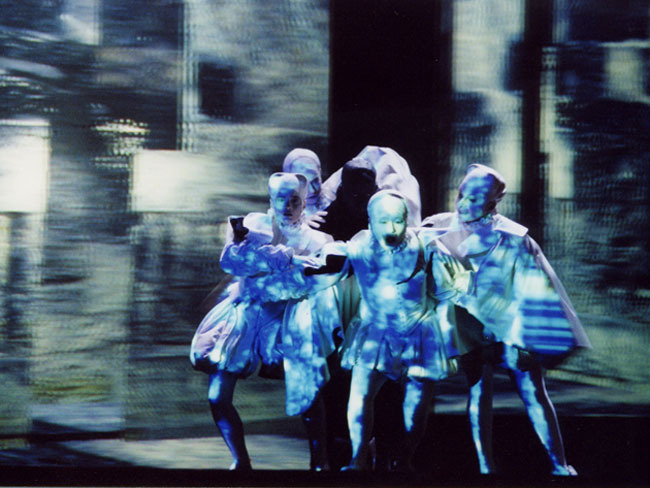 The performance features an interactive stage set and computer generated costumes that are projected onto the stage and the actors. 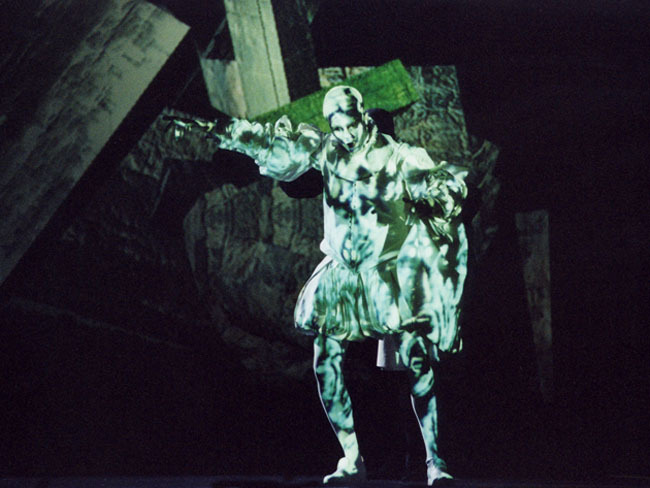 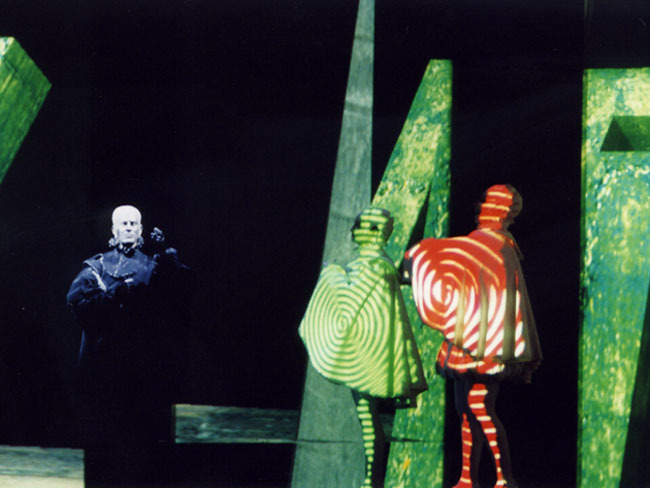 In a contemporary interpretation of the libretto the scene is set in a virtual architecture that reacts to gestures of the actors and reconfigures accordingly. 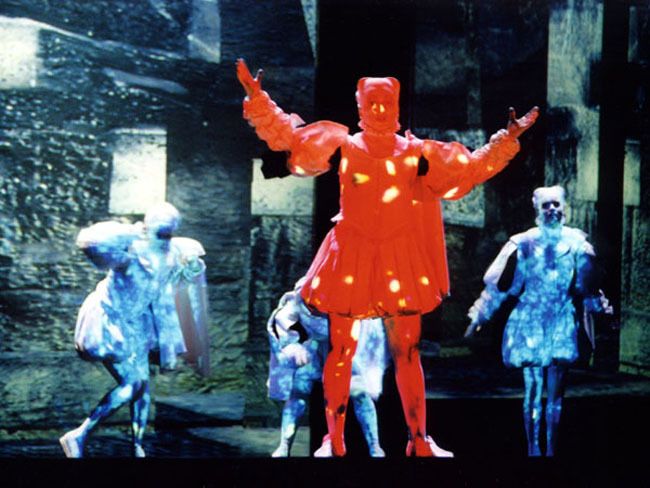 The mechanism highlights the play of control and power that develops around Machiavelli, the central character of the opera. 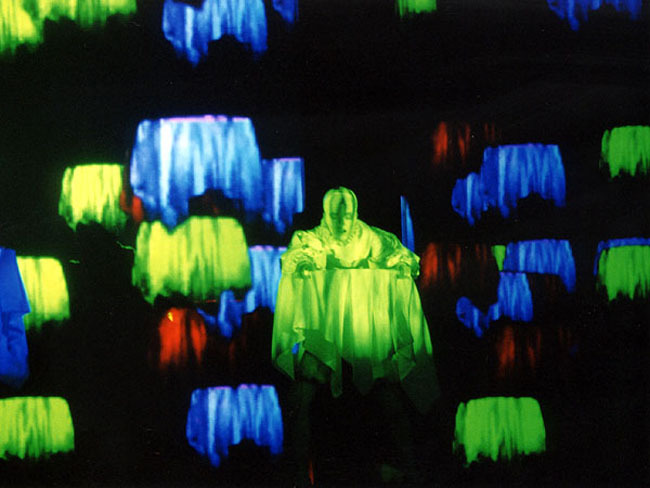 Like the stageset also the costumes are projected onto the actors. 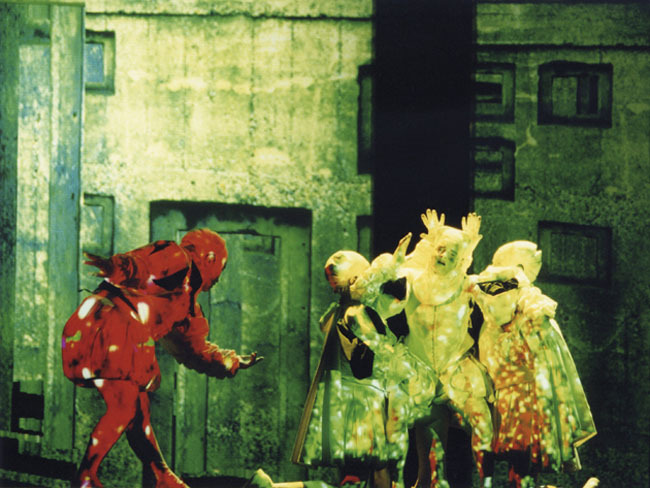 The costumes are dynamic image-sequences representing the changing alliances between the different actors and the inner conflicts and mood changes of the characters.